Rev. 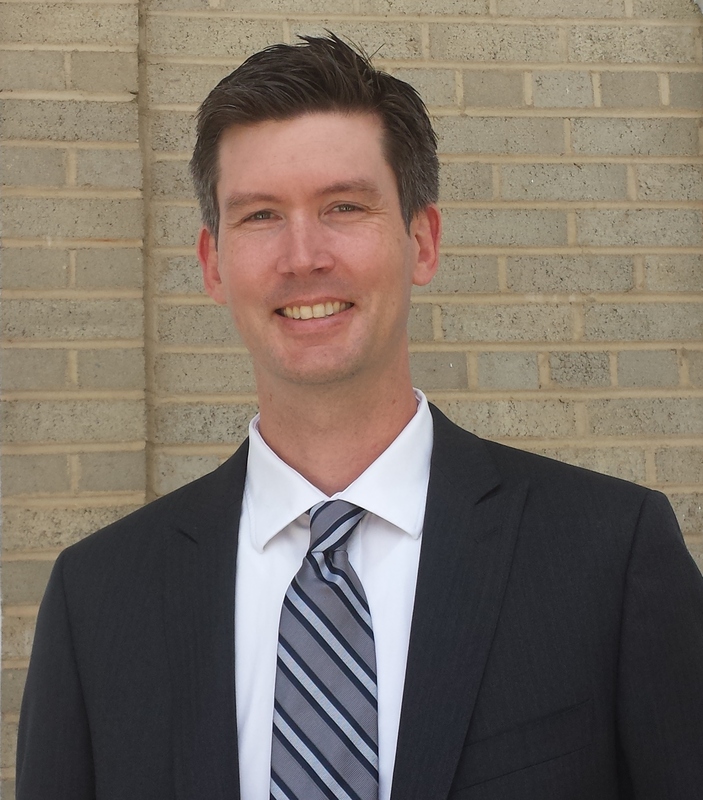 George W. Chapman III was installed as Pastor of First Presbyterian Church of Waynesboro in June of 2015. He originally hails from the Charlotte, NC area. He attended college at North Carolina State University (Go Wolfpack! ), where he earned degrees in English and History, and later received a Master’s Degree in Illustration from the Savannah College of Art & Design. George would work a few years as a starving artist before embarking on a call to ministry. He earned a Masters of Divinity Degree from Union Presbyterian Seminary in Richmond, VA in 2006. While completing a church internship during his final year of study, he met incoming seminarian Myra Hiott, and the two would marry in the summer of 2008. As Myra finished her studies at the seminary, George would serve in a variety of pastoral settings in the Richmond area before pursuing his first ordained call as pastor of Buena Vista Presbyterian Church in the fall of 2009. While in Buena Vista, George became involved in The Community Table of Rockbridge, which seeks to serve low-cost, nutritious meals to food-insecure families in the surrounding area. He also became active in the Buena Vista chapter of Rotary International and has served on the Committee for Relational Ministry for the Shenandoah Presbytery. As George pastored his congregation in Buena Vista, Myra completed her degree at the University of Virginia School of Law, and is presently a practicing attorney. George has a variety of interests. Saturday mornings he can be found with Myra at the local farmers’ market or perusing the shelves at the used book store. He loves good food, whether it means staying home and cooking in or trying the latest eatery. When time allows, George and Myra look forward to any occasion to travel, explore and do anything generally outdoorsy. In his free time, he enjoys sketching, riding his bicycle and really bad zombie movies. George is a Presbyterian Church (USA) pastor through and through, and is proud to be part of the First Waynesboro family as he continues this next phase of his ministry! 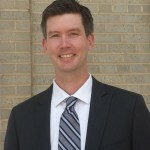 Roger Daggy became the Director of Music at First Presbyterian Church in July of 2015. 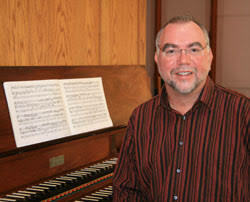 He has been a church musician and recital organist for over forty years. The Waynesboro native’s association with FPC began in the early 1970s, when he studied organ, harpsichord and piano and sang in choirs with FPC Director of Music, Dr. R. Edward Zimmerman. Roger received his Bachelor of Music and Master of Music degrees from Northwestern University, where he studied organ with Wolfgang Rübsam and Dr. Richard Enright. He also studied choral conducting with Grigg Fountain, a student of Robert Shaw. His notable positions include Organist at Lincoln Park Presbyterian Church in Chicago, home of an historic 1888 Johnson and Son organ; Director of Music at Calvary Moravian Church in Winston-Salem, NC, where he played a 1926 Hook and Hastings organ; and Parish Organist for The Parish of St. Matthew in Pacific Palisades, CA, home of the last organ personally designed by Charles Fisk, installed in 1985. Roger has played services and concerts throughout Europe and the United States. His European venues include Winchester Cathedral in England; St. Patrick’s Cathedral, Dublin, Ireland; St. Wenzel’s, Naumberg, Germany and the Matyas Church in Budapest, Hungary. Roger’s American concerts sites include Walt Disney Concert Hall (with orchestra) and First Congregational Church in Los Angeles, Rockefeller Chapel and St. James Cathedral in Chicago, the Cathedral of St. Philip in Atlanta and Christ UMC in Greensboro, NC. Additionally, Roger has spent over thirty-five years in the organ industry, much of that time devoted to the care and maintenance of historic pipe organs. Kimberlea Daggy joined the FPC staff in January of 2017. She has been associated with church music for her entire life, from singing in choirs to playing piano and, occasionally, organ. Kimberlea received her Bachelor of Music from Northwestern University and did graduate work at Yale University and Arizona State University, where she sang the title role of Carmen. Kimberlea is a public radio announcer and producer, currently hosting All Things Considered on WMRA (90.7) and producing and hosting Airplay on WEMC (91.7), both based at James Madison University in Harrisonburg. 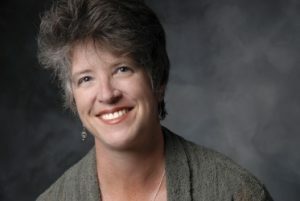 Her public radio career began in 1990 at WILL at the University of Illinois in Urbana and continued at WFDD at Wake Forest University in Winston-Salem, NC. She was recruited by the Classical Public Radio Network in Los Angeles and worked for the network and the University of Southern California’s KUSC, where, in addition to programming and hosting a daily on-air shift, she co-hosted live broadcasts of Los Angeles Opera, when she interviewed such esteemed artists at Placido Domingo and Marilyn Horne. Kimberlea has given numerous lectures during her thirty year career for a variety of organizations, including the Los Angeles Philharmonic, Los Angeles Opera, the Ojai Music Festival and the Sierra Summer Festival. She has also taught adult education classes at the Pasadena Conservatory of Music. Kimberlea served on the board of the Orchestra Parents Association at Santa Monica High School, where she hosted concerts, wrote program notes and connected students to professional musicians, including Los Angeles Opera Music Director James Conlon and former Los Angeles Philharmonic Music Director Zubin Mehta. She was the Los Angeles Coordinator for Friday Afternoons, a world-wide celebration of Benjamin Britten’s 100th birthday anniversary in November of 2013. Kimberlea also helped coordinate the Santa Monica High School Symphony Orchestra 2014 tour to Vienna, Prague and Baden-Baden, Germany. 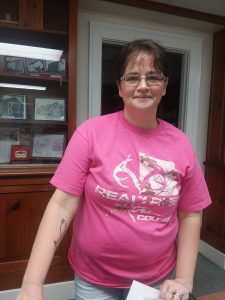 Colleen joined the FPC team in July of 2017, a native of Buena Vista, she moved to Stuarts Draft in 1990 with her husband Bob and daughter Kelly. When she is not enjoying time with her grandchildren Nathan and Emma , she loves cross stitching and reading. Craig was born in upstate New York and moved to this area in 1972. He graduated from Waynesboro High School in 1981 and went into the United States Air Force and served four years as a Ground Radio Communications Operator. While stationed at MacDill AFB in Florida he met his wife Cindy, who also was active duty Air Force. After their time in the service, they returned to Waynesboro where Craig worked for a short time as a disc jockey at WZKT (formally WAYB) until they closed their doors. He owned and operated Mystic Music DJ Service for almost 20 years until retiring from the DJ scene in 2012. Craig works his full time job as Quality Control at PlyGem Siding Group in Stuarts Draft and has been employed there for over 25 years, and is president of the Waynesboro Players community theater group. He and his wife Cindy have two wonderful children Carissa and Corey, and a grandson Dreagen. Michael was raised and attended school in Philadelphia, PA. He is married to Bernadette. They have three daughters, Faye 14, Kelly 8, and Katie 2. Michael has been coming to Waynesboro to visit family since he was a child and moved here one he became an adult. 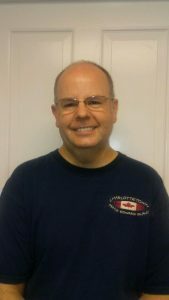 Michael has worked full time at Blue Ridge Doors for over 10 years and ably finds time to work for our church. Although he has little free time, what he does have he spends with his wife and family.